Welcome back to #Saturday6, today’s post shares the six books that I loved in 2018, though it was hard to narrow them down, you can see all the books I read last year here. 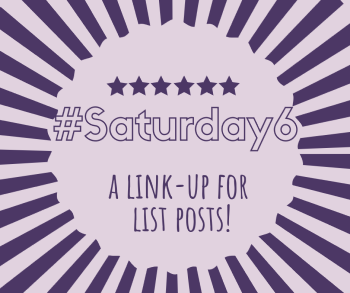 At the end of the post is the #Saturday6 linky! Although the story and topics covered are by no means enjoyable this is up there in my top five favourite books EVER. An epic (also epically long at 720 pages – be warned) read spanning the life four friends, focusing on Jude and the relationships between his college friends, and going back to his childhood and the (awful) events that took place. This book touched me in more ways that I first thought. The insane level of detail in every aspect of this book is what makes it for me, its an uncomfortable read rather than a pleasant one, but in a captivating and addictive way. I found myself reading it whenever I could, cooking dinner, walking down the street… I feel like I needed a support group when I finished it, and had to make sure I read the last chapter at a time when I had enough time to process the events in my own time! Kristin Hannah is one of my favourite authors but this is definitely my favourite book of hers so far. It focuses on Leni and her life as her parents move her from central America to deepest darkest, off-grid Alaska. It’s a huge upheaval for them all as they must immediately change their way of life, but she and her mum will do anything to try and help her POW (Vietnam) father try and cope with life, alongside his internal (and external) struggles. Things take a turn for the worst but you need to read it to find out. The Alice Network, is another war-based novel and it actually spans both wars, and is just incredibly well written with three central characters (two amazing females!) and some great peripheral ones too. Focusing on a female spy network and the repercussions of working as a spy it’s a fascinating read and I didn’t want it to end, though I loved the way it did. Another book based on real life events, and another book based in the war this is just harrowing and uplifting (for want of a better word) in one. Lale finds himself in a concentration camp, and the only way he can find to keep himself safe and fed is to work tattooing the numbers onto each new arrival to the camp. This book gives a fascinating insight into life in Auschwitz, showing how the prisoners got by day to day, but also showing that there was hope, and also love in the camps. Catherine knows she is dying of cancer, so she starts to record a series of tapes for her husband, accompanied by photos for him to listen to weekly after she’s gone. Each tape revealed something about their marriage and her past that he didn’t know or hadn’t realised. The tapes tell the story of their relationship, which started a lot earlier than they realised, and the story continues past the end of the tapes showing us how Sean copes with what he finds out. If you want to link up a list post to #Saturday6 then all the details are in this post and you can add your link below! Give me a shout if you have any questions, and I really look forward to seeing your posts! 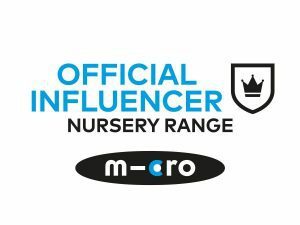 This post contains amazon affiliate links - I'll get a few pence if you purchase something through these links but it doesn't change the price you pay!